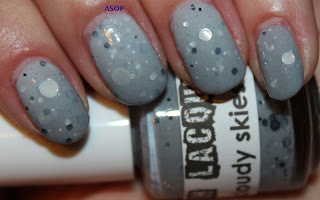 A Shi...pload Of Polish! : Cloudy Skies! Sorry about the absence lately, I've had so much uni work to do (still do)! 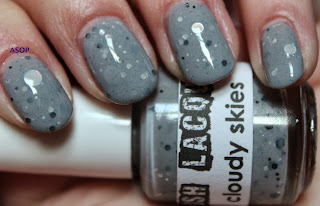 I wore Cloudy Skies over the weekend and still couldn't decide whether I liked it or not by the time I took it off! I apologise for the state of my hands in some of these pics! 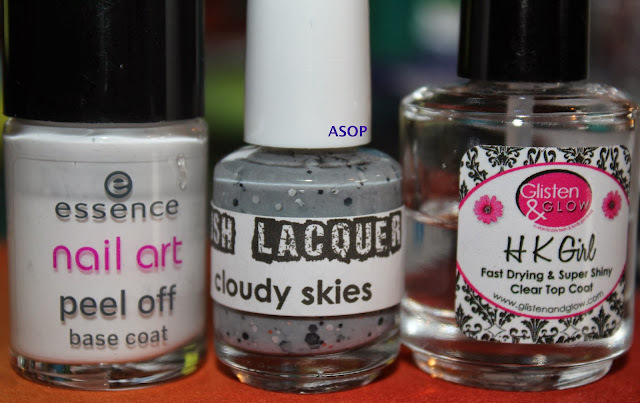 I received my Lush Lacquer/ Polish Me Silly haul last week and couldn't wait to try my thermals! 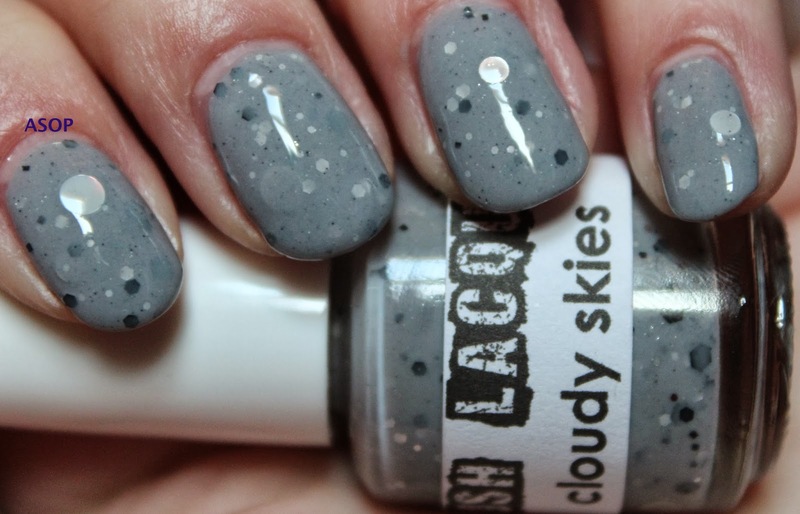 Cloudy Skies is a grey thermal polish that goes between shades of grey (hehe) and has two different sizes of silver dots, and numerous black glitters! It applied really nicely and I only had to fish for a couple of dots to even out the mani. It goes from a dark to a light grey and has a lovely gradient effect when it's mid change!